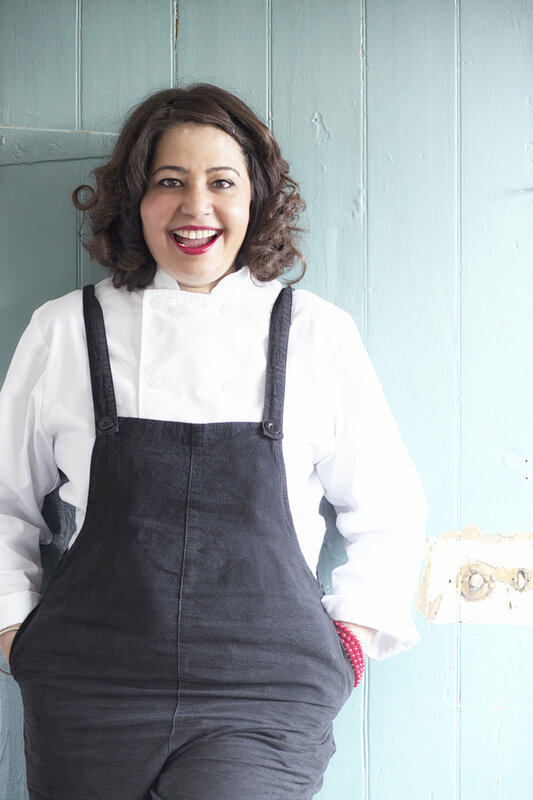 Romy Gill is one of the few female Indian chef/owners in the UK, having opened Romy’s Kitchen Restaurant in September 2013 in Thornbury, Bristol. Romy was awarded a MBE for her services to hospitality industry on the Queen’s 90th Birthday Honors list in 2016. She has been a judge on the Chef’s table in 2016 Celebrity Masterchef finals and was the resident cook for april’16 in the Guardian newspaper. Romy demonstrates her cooking at festivals both in the UK and abroad. In January 2017, Romy returns as guest chef at Carousel London for second time for two weeks of chef residency. She is Slow Food UK Chef Alliance member and cooked for England at Terra Madre Salone del Gusto, Turin, Italy in Sep, 2016. Romy works with Frank Water Charity and Action Against Hunger Charity raising money which supplies clean drinking water in India and provide food and skills to people in Bangladesh, Burma and India. She ran Mumbai marathon in Jan’15 to raise money for Frank Water Charity. She was in Burma in sep’15 working with Action Against Hunger Charity and visiting the projects. In dec’16 she organised Severn Sisters Feast in Bristol to raise money for Action Against Hunger Charity. Chef Romy Hardeep Gill MBE is a British/Indian chef and cookery teacher and a food writer, based in Thornbury, South Gloucestershire. She is the owner and head chef at Romy's Kitchen, Restaurant which opened in September 2013 on Castle Street, Thornbury. She is one of the few female Indian chef/owners on the UK restaurant scene, and was appointed an MBE in the Queen's 90th birthday honours list in 2016. Romy is currently writing her first cookery book, which will be published in 2018. Gill's style of Indian cooking is very different from that found at the majority of Indian restaurants in the UK. She avoids the use of unnatural food colourings, and is a fan of combining Indian and British cuisine. She combines spices and flavours that she grew up with in India with ingredients that she was only introduced to when she moved to the UK, creating dishes such as gurnard cooked in coconut milk, tomatoes, tomato puree, ginger, garlic and her own spice blend; and monkfish marinated in turmeric and lemon juice, then cooked with onions, ginger, garlic, mustard seeds, 5 spice mix paste and her own spices. She opened her first restaurant, Romy's Kitchen, in Thornbury, South Gloucestershire in September 2013. In order to open her restaurant, She applied to a number of banks for a loan, but was turned down by every one apart from NatWest,providing her with the business loan that she needed to get her restaurant underway, leading her to be featured on the BBC News in a segment about the struggles that entrepreneurs face when trying to raise the necessary funds to start a new, local business. In 2014, Romy was shortlisted for the 15th Asian Women of Achievement Awards (AWA), which celebrate women who make an “outstanding contribution to our culture and economy”. She was appointed Member of the Order of the British Empire (MBE) in the 2016 Birthday Honours for services to the hospitality industry. She demonstrates her cooking at festivals both in the UK and abroad. In the UK, she has given demonstrations at the BBC good food show , Grand Designs exhibitions, Big Feastival , Abergavenny, dartmouth and at food and cultural festivals in Abu Dhabi, New York City and other locations. In addition, she gives talks and cookery demonstrations in schools where she discusses how food is cultivated, the importance of eating with the seasons and the impact of food on the environment. For last three years Romy has been doing a guest chef series at Carousel London and does guest chef in various other restaurants. In 2017, Romy gave demonstrations at a range of festivals, including the BBC Good Food Show, the Abergavenny Food Festival, the Big Feastival, Dartmouth Food Festival and the Padstow Christmas Festival. 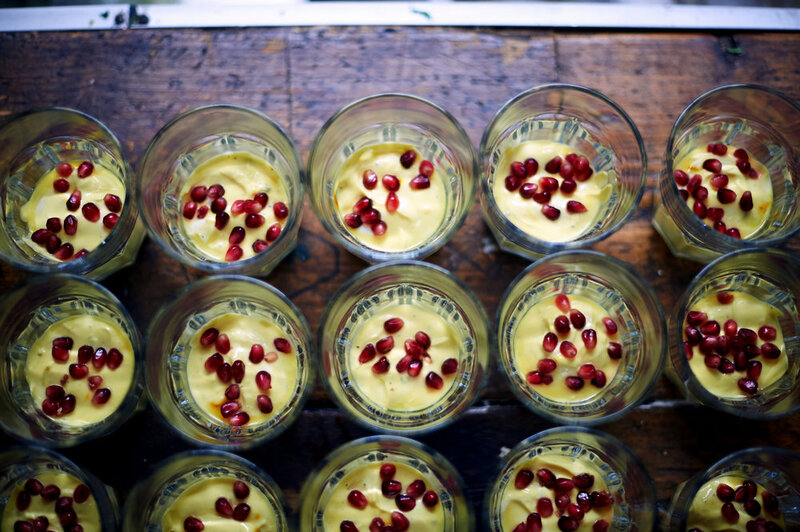 Romy contributes regularly to food publications such as Crumbs, Olive, Delicious, Saveurand Food52, and has featured in The Guardian, where she had a residency in April 2016, The Observer, The Telegraph & The Independent newspapers. Romy is a regular and a judge for the BBC radio 4 food and farming Awards plus has been featured on Saturday live, BBC woman's hour, BBC Asian Network and 5 live. In 2017, Romy travelled to India with Suitcase Magazine, where she explored and wrote articles on Ladakh. and the Andaman and Nicobar Islands and writes regularly for them. She has been signed by a publisher and is working on her first cookbook, which is set to be published in 2018. Romy appeared as a guest judge on Celebrity MasterChef 2016, and also cooked alongside The Hairy Bikers in their Comfort Food series. She has featured as the subject of a film short on "Family Dinners" on Food Network UK. James Martin Saturday TV and is back on Masterchef series in UK. She is working other TV projects at the moment! Romy raises lot of money for various charity from Action against hunger to frank water.